We’re talking about Snickerdoodles. A classic on every Christmas cookie plate across the United States, and one of Santa’s personal favorites. I know this statistical information because well, every year Santa seems to eat them all, and never drops a crumb. 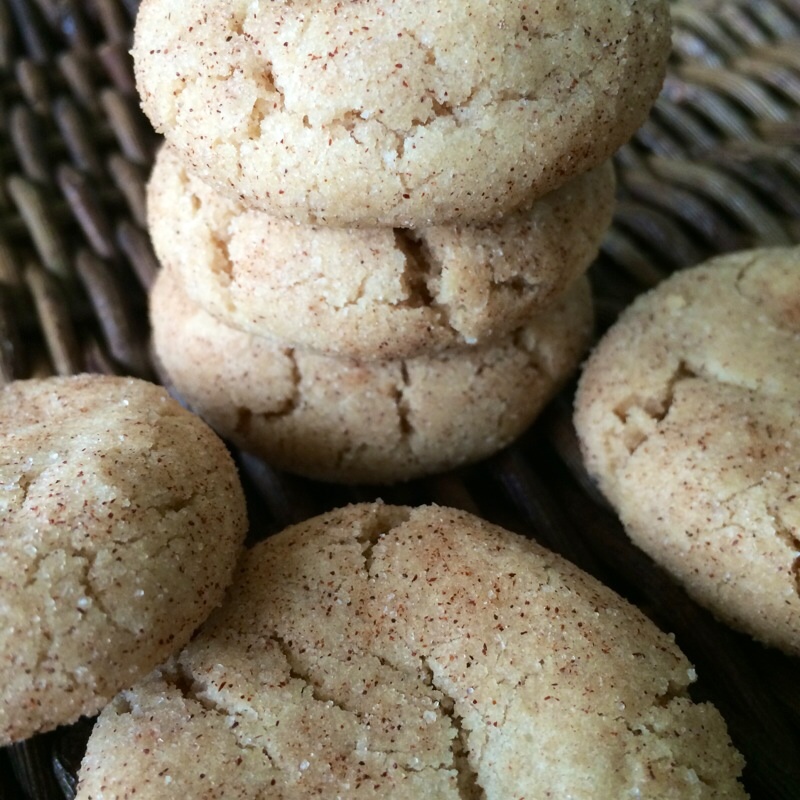 The Snickerdoodle is like a sugar cookie with a bit of an edge and who doesn’t love a soft, pillow-like cookie topped with cinnamon sugar goodness? I know I do, and as always time is of the essence for me so a Snickerdoodle recipe made in under twenty-five minutes is definitely at the top of my recipe box. 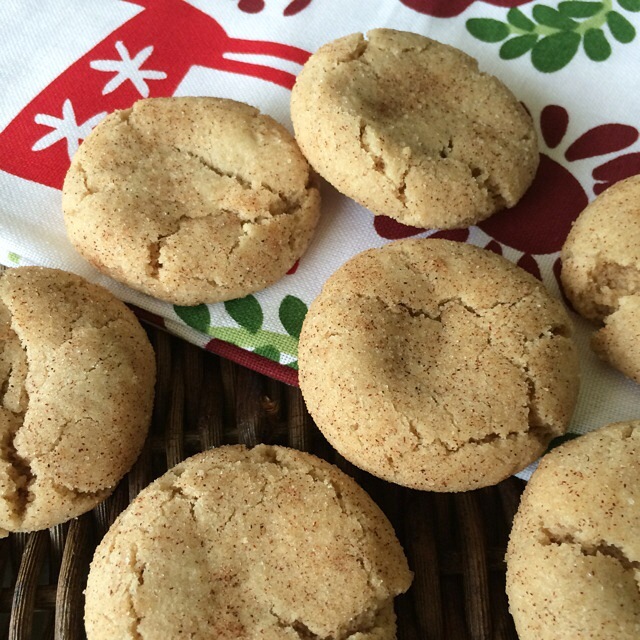 More often than not you’ll get a flat, lifeless Snickerdoodle with hard sugar on the outside. I don’t know about you but this doesn’t sound appealing at all. Not only that, there is so much work involved, between chilling the dough, and a list of crazy ingredients you’ll have to go to the store for. Not here. Just pure, classic pillowy goodness. Now that’s why this cookie is always on Santa’s good list! 1. Preheat oven to 350°F. 2. Mix butter, 1 1/2 cups sugar and eggs thoroughly in a large bowl. 3. Combine flour, cream of tartar, baking soda and salt in a separate bowl. 4. Blend dry ingredients into butter mixture. 5. Chill dough, for about 30 minutes in the fridge. 6. Meanwhile, mix 5 tablespoons sugar, and 5 teaspoons cinnamon in a small bowl. 7. Scoop 1 inch globs of dough into the sugar/ cinnamon mixture. 8. Coat by gently rolling balls of dough in the sugar mixture. 9. Place on un-greased cookie sheet, and bake 10 minutes. I don’t see the snickerdiodles recipe. Can you please post it? Billy – It should be posted now. If you can’t find it send me an e-mail at ThePreppyHostess@gmail.com! WANT TO GET THE LATEST IN NEW RECIPES + PARTY IDEAS? Sign up for The Preppy Hostess Newsletter and always be in the know on all the latest trends!